Energised Malas - This Mala is made up of 55 Five Mukhi Rudraksh beads and 54 natural round red coral beads, constituting 108+1 beads mala. 1. It gives the power to overcome hurdles and enemies. 2. It provides the courage to the individual to defeat its foes and conquer hindrances. 3. It helps to drive away lethargy and deal with hesitation. 4. It gives the Individual the necessary boost to finish tasks in a logical manner. 5. It helps in curing the problems such as acne, facial eruptions, skin diseases etc are remarkably suppressed. 6. It acts as a protective shield and defends against cuts, bruises, wounds and other injuries while also improving blood purification. 7. It also helps in the betterment of mental health and general well being. 8. It can help one out of depression, languidness and revitalize the mind to boost morale. 9. It also gives you the energy, audacity and the strength to conquer your fears. 10. 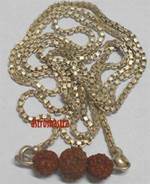 Individuals suffering from issues such as impatience, short temper, irritation and anger due to the untoward position of Mars in their horoscope would notice a significant improvement in their condition after using this Mala. 11. 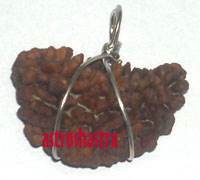 It protects fiercely against bewitching, evil gaze and black magic. 12. It can help a person in debt to a more secure and safer position. 13. Its energies can help in removal of looming debts in a very short period of time. How to wear Rudraksh and Red Coral Mala ? 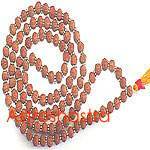 Mantra to Chant “Om namah Shivay' and beej mantra of shukra " Om Kraam Kreem kroom Sah Bhomaye Namah " is the mantra that has to be chanted to wear this Mantra for about 108 times.